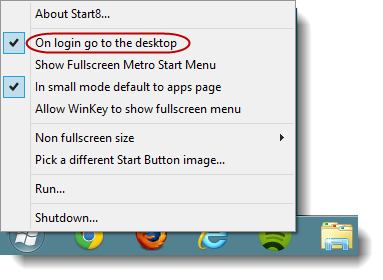 Start8 can help you bypass the Windows 8 start screen and go directly to your desktop. Start8 brings back the Start button in Windows 8 and can automatically load the desktop after logging in. The Metro start screen in Windows 8 has been a polarizing change from Windows 7, to put it mildly. If you click the desktop tile immediately after logging in, a free program by Stardock can save you some time. 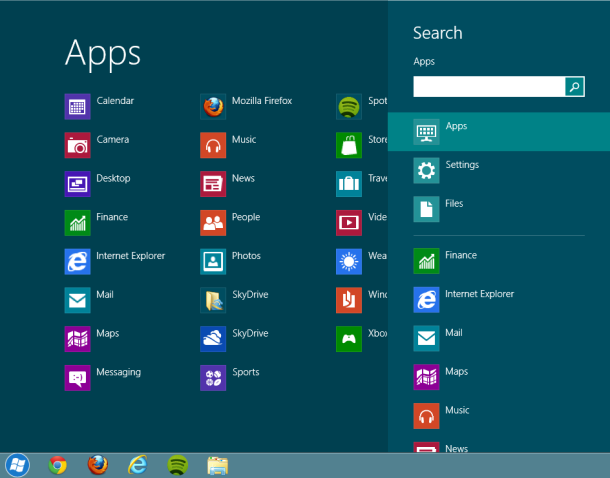 With Start8, you can automatically load the desktop after logging in to Windows 8. Start8 will even add back the Windows Start button. To use Start8 to bypass the Metro start screen, go to Stardock’s Web site and sign up with your e-mail address to get the download link. That’s it. The next time you log in to Windows 8, you’ll be taken straight to the desktop. If you need to view the Metro start screen, select “Show Fullscreen Metro Start Menu” to display it when you click the Start button or hit the Windows key. Keep in mind that Start8 is currently beta software, so the usual caveats apply.